GET READY TO CROSS OVER. The Demogorgon is hunting in our world now. 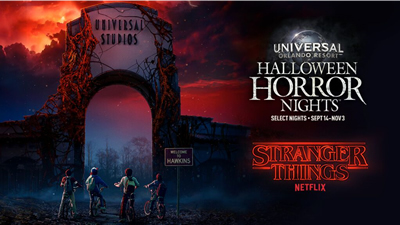 Halloween Horror Nights™ takes you deep inside the haunting world of STRANGER THINGS. From a secret government lab where vile human experiments have opened the gates of chaos, to the terrifying emptiness of the Void. From the darkest corners of Hawkins, Indiana, where homes and walls offer no protection, to the monster-filled reality of the Upside Down. As you try to escape these nightmares, in the footsteps of the show’s heroes, you are certain of only one thing—The Demogorgon is moving closer. Mind Your Manners. Dont' Lose Your Head. 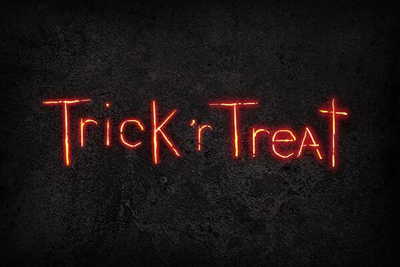 It’s Trick ‘r Treat time. Your first spark of fear ignites as the haunting glow of jack ‘o lanterns leads you beyond the picket fence to the Kreeg house. But, beware, your dread will only grow as Sam watches and waits for the moment he can treat rule-breakers to his favorite Halloween surprises: razor lollipops and sweet revenge. As you find your way through the five twisted stories of Trick ‘r Treat, you’ll recoil in terror when you witness the horrid fate of those who didn’t honor the tradition. So watch your step, and don’t be caught dead breaking the rules..
You can’t escape the outbreak. The world doesn’t get any darker. The planet has been infected with the ultimate pandemic. 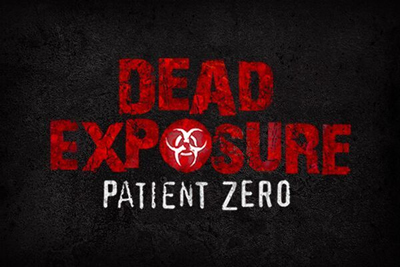 A ghoulish biological outbreak has spread around the globe, turning swaths of humanity into a plague of vicious, swarming zombies. The only known cure leaves the test subjects blind, disoriented and screaming. In a flash you’re lost in darkness—but the undead can still see you and smell you. Soon your growing unease will turn to screams and despair. If you’re not already afraid of the dark, you will be. Frequent Fear Plus Pass™ 2018 admission dates include: Sep 14, 15, 16, 19, 20, 21, 23, 26, 28, 30, Oct 3, 4, 5, 7, 10, 11, 12, 14, 17, 18, 19, 21, 24, 25, 26, 28, 31, Nov 1, 2, 3. 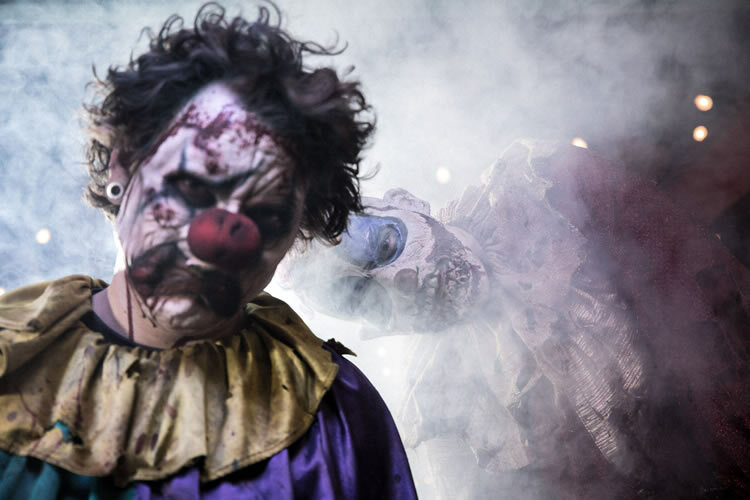 The Halloween Horror Nights Event begins at 6:30pm and closing times may vary. 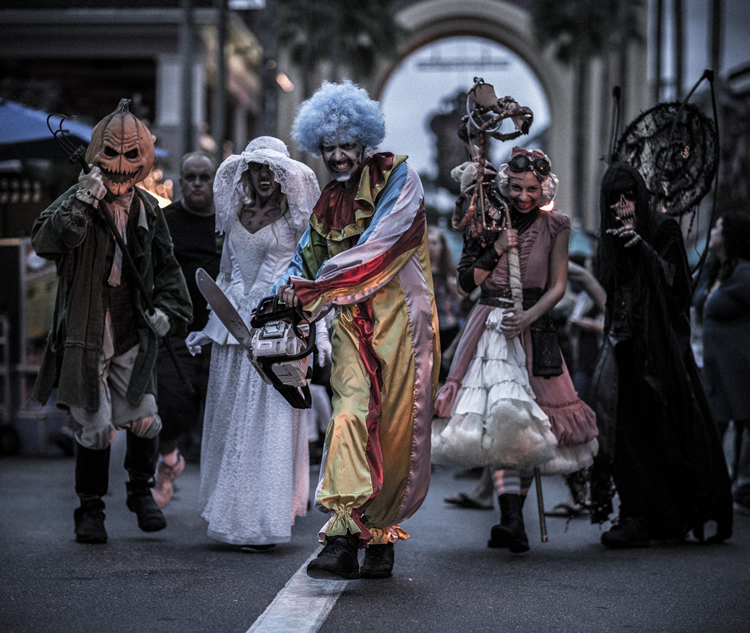 Free self-parking after 6PM is not valid on Halloween Horror Nights Event Nights. Separately ticketed event. Valid for one (1) guest admission to Universal Orlando™ for the Halloween Horror Nights event. This pass must be exchanged for a 2018 Frequent Fear Plus Pass at any Universal Orlando™ front gate ticket window. Your ticket/pass may not be copied, transferred, or resold. The ticket/pass is only valid for the person listed on it (you will be asked to enter the ticket/pass holder’s name). Valid photo ID required for verification. Unauthorized duplication or sale of this ticket/pass may prevent your admittance to Halloween Horror Nights. Tickets/passes are non-refundable, non-transferable. Not valid with any other specials, promotions or discounts. Sales tax and parking fee not included. Day admission tickets, Annual / Seasonal Passes and Complimentary Passes are not valid for Halloween Horror Nights admission. Event occurs rain or shine. No rain checks, returns or refunds. Prices, dates, times, attractions and entertainment subject to availability and to change without notice. Other restrictions may apply. 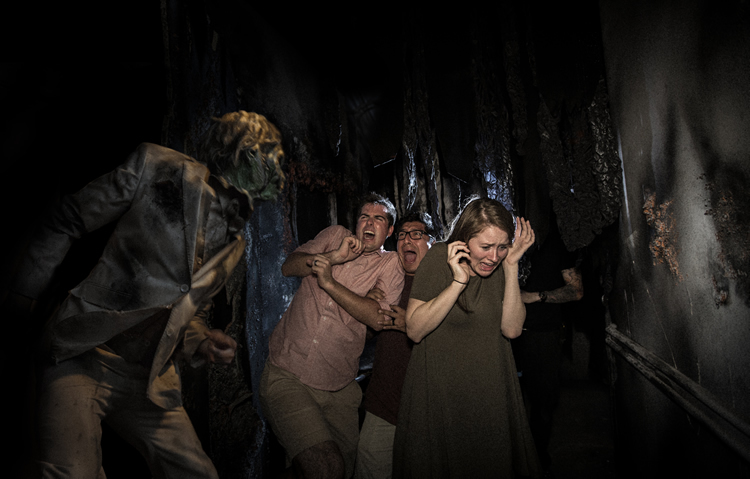 The Frequent Fear Plus Pass entitles one (1) guest admission to all of the following 2018 Halloween Horror Nights™ Event Dates: September 14, 15, 16, 20, 21, 23, 28, 30, October 3, 4, 5, 7, 10, 11, 12, 14, 17, 18, 19, 21, 24, 25, 26, 28, 31, November 1, 2 and 3. 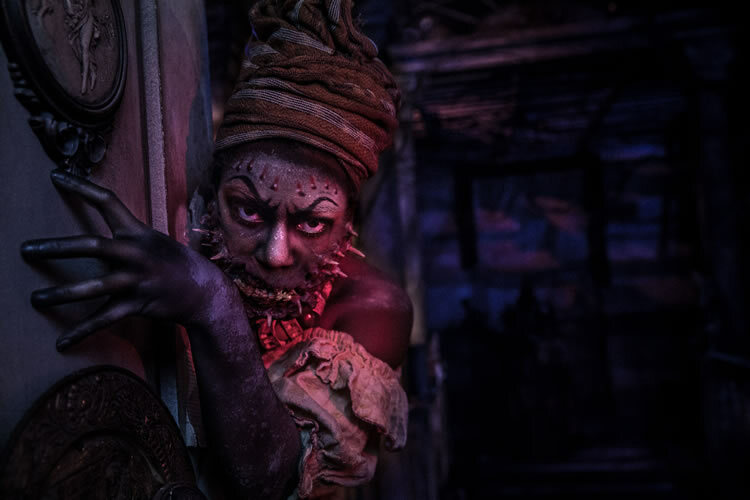 The Halloween Horror Nights™ event begins at 6:30 pm and closing times vary. 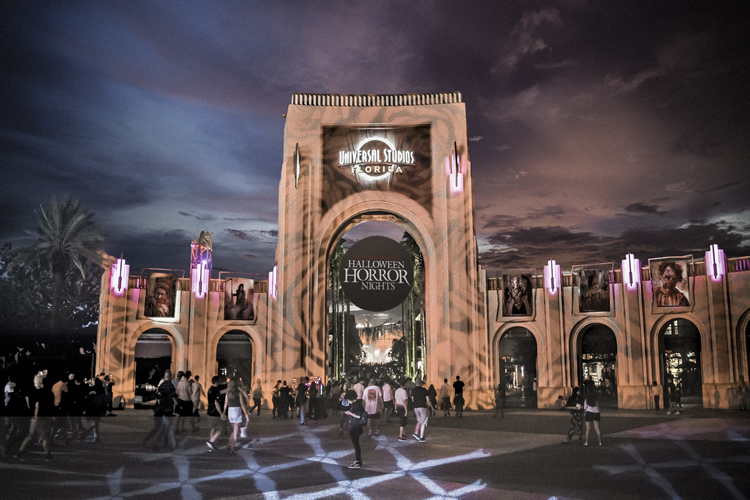 Get one (1) admission to Halloween Horror Nights 2018 at Universal Orlando™ on one (1) of the following event dates: Sep 14, 16, 20, 21, 23, 28, 30, Oct 3, 4, 5, 7, 10, 11, 12, 14, 17, 18, 19, 21, 24, 25, 26, 28, 31, Nov 1, 2. 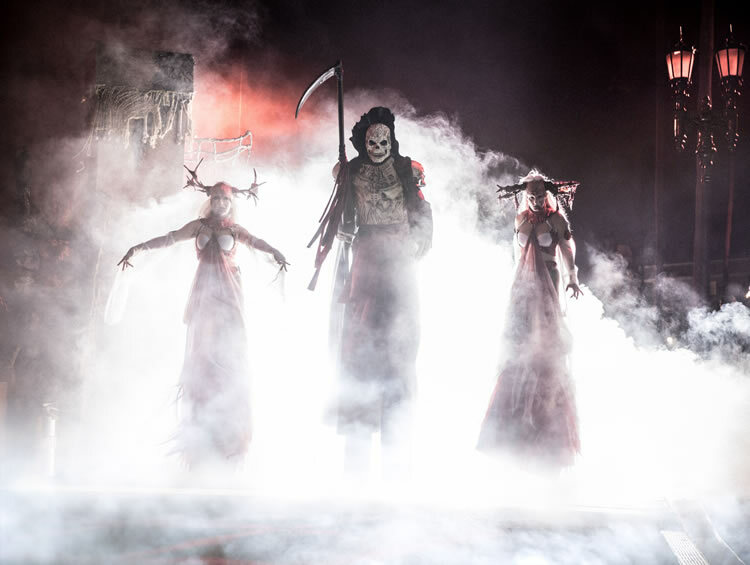 The Halloween Horror Nights 1-Night Ticket Sunday-Friday entitles one (1) guest admission to one (1) 2018 Halloween Horror Nights Event night on any Sunday – Friday event date that is valid for the ticket type. 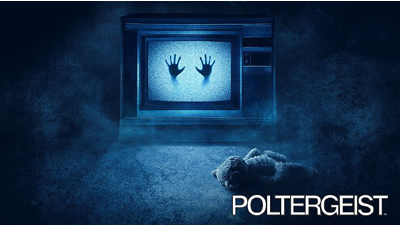 Halloween Horror Nights event begins at 6:30pm and closing times may vary. Free self-parking after 6PM is not valid on Halloween Horror Nights Event Nights. Online only. Separately ticketed event. Valid for one (1) admission to Universal Orlando for the Halloween Horror Nights event on your selected Sunday-Friday event date only (September 14, 16, 20, 21, 23, 28, 30, October 3, 4, 5, 7, 10, 11, 12, 14, 17, 18, 19, 21, 24, 25, 26, 28, 31, November 1, 2). Print@Home ticket/passes and non-Print@Home ticket/passes cannot be combined in the same order. Please group all Print@Home tickets/passes into their own transaction/order. Your ticket/pass may not be copied, transferred, or resold. The ticket/pass is only valid for the person listed on it (you will be asked to enter the ticket/pass holder’s name). Valid photo ID required for verification. Unauthorized duplication or sale of this ticket/pass may prevent your admittance to Halloween Horror Nights. Tickets/passes are non-refundable, non-transferable. Not valid with any other specials, promotions or discounts. Sales tax and parking fee not included. Day admission tickets, Annual/Seasonal Passes and Complimentary Passes are not valid for Halloween Horror Nights admission. Event occurs rain or shine. No rain checks, returns or refunds. Prices, dates, times, attractions and entertainment subject to availability and to change without notice. Other restrictions may apply. Currently no review available for this park.